If you have small children, you already know how wonderful playgrounds can be for kids. Playgrounds offer children their own personal world of adventure, where they can socialize and interact with other children as they run around and explore their fun surroundings. As fall quickly approaches us in Washington, your child’s outdoor time will start to lessen as the temperature begins to drop. This is where indoor playgrounds can provide your child with the stimulation they need in a safe and comfortable indoor play place. 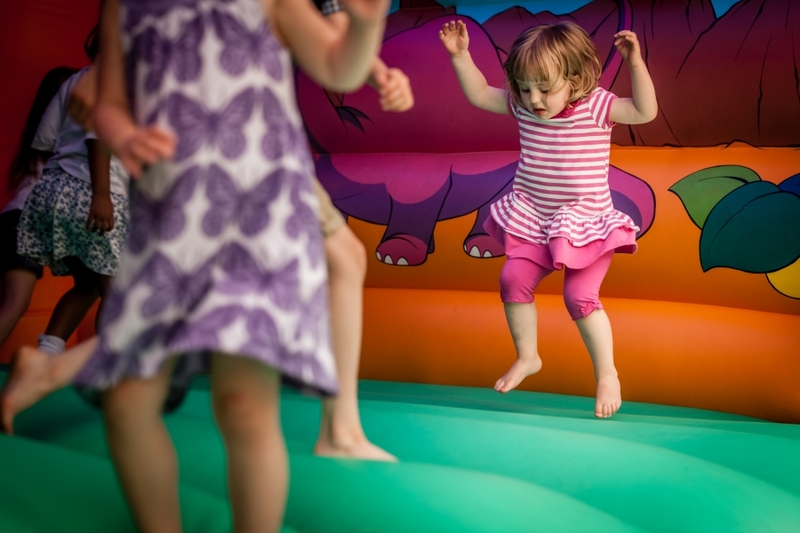 In this blog, we’ll discuss the many benefits of bringing your child to an indoor playground. If you live near Bellevue or Lynnwood and you’re looking for a fun activity for your little ones during the week or on the weekend, be sure to stop by Funtastic Playtorium. Our indoor playground is the perfect space for your child to play and socialize with other kids his or her age. As one of the largest indoor playgrounds in Washington, we’re proud to be a local favorite for parents and kids alike. Check out our gallery online or contact us today to learn more! Many children love indoor playgrounds because they provide a safe and secure place to learn and explore. From big slides to ball pits and jungle gyms, indoor playgrounds offer a plethora of fun and educational activities to keep your child entertained and happy. Let’s take a look at some of the biggest benefits of bringing your child to an indoor playground below. As you may already know, childhood obesity is quickly becoming a global health problem across children of all ages. Since most kids these days are glued to electronics and unhealthy processed foods, it’s easy to see how these sedentary lifestyles offer little to no physical benefits. When you take your child’s iPad away and bring them to a kids indoor playground, they will immediately feel the urge to run, jump, climb, swing, and explore. If your little one is too young for school, you may be wondering how to socialize them during the cold winter months. 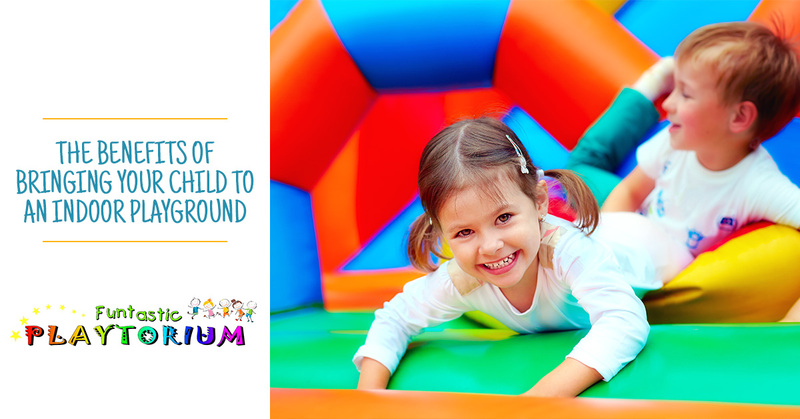 One of the main benefits of an indoor playground are the social benefits your child will receive. When you bring your little one to Funtastic Playtorium, they’ll have the opportunity to meet our children, where they can work on their social skills and start to build confidence. Indoor playgrounds offer a variety of obstacles and puzzles for your child. From climbing up slides to balancing on soft cushions, your child will be exposed to several different heart-healthy and muscle-building exercises. Indoor play places allow your child to work on their strength, flexibility, and gross motor skills, helping them develop into strong and healthy toddlers. When you take your child to an indoor playground, they will be able to let their imagination run wild in a safe and secure space. While characters and plots may seem silly to adults, children love to pretend that they are in imaginative scenarios when they visit an indoor play place. Whether they’re running from the bad guys or trying to save a damsel in distress, your child’s creativity and imagination will benefit from bringing them to an indoor playground. As you can see, there are many benefits to bringing your child to an indoor play place. If you live in Washington and you’re looking for an indoor playground to bring your child to, be sure to visit Funtastic Playtorium. We offer two convenient locations in Bellevue and Lynnwood, and we would love to meet your little one!